Lemon GreenTea: Say "I Love You" with Goldilocks, this Valentine's Day! Say "I Love You" with Goldilocks, this Valentine's Day! With Valentine’s Day fast approaching, one cant help but notice that love is in the air – and it smells oh-so sweet. This special day is a time to spread love, kindness, and sweetness all around; a chance to let the special people in your life know how you feel about them through gifts, cards, flowers, and sweet treats. In fact, they say that the fastest way to someone’s heart is through their stomachs. If that’s true, then Goldilocks, the country’s number one bakeshop, has something special and exciting in store for all the lovers out there. 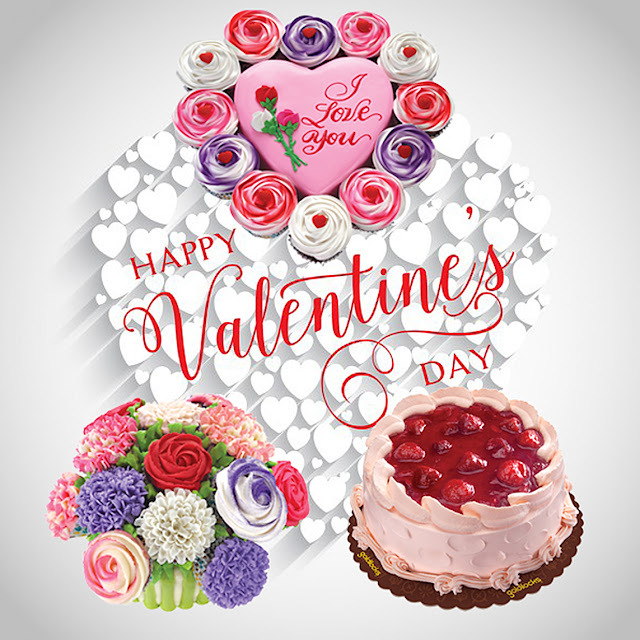 In addition to its already-impressive treasury of delicious treats, Goldilocks is introducing three brand new limited edition cakes for Valentine festivities that will surely be loved by everyone. The Strawberry Delight Cake (P540), which— believe it or not — tastes even better than it sounds, is a rich vanilla chiffon cake topped with scrumptious strawberry cream cheese frosting. This cake is perfect for celebrating with your loved ones and families. My Cupcake Heart (P450), on the other hand, is an adorable heart-shaped cake adorned with cupcake roses and garnished with fluffy marshmallow icing. Rounding out the special Valentine’s cakes is the beautiful Bunch of Blooms (P750), a mouth watering vanilla cake topped with 13 elegant cupcake flowers. In addition to these sure-to-be best sellers, Goldilocks is bringing back its seasonal favorite, Choco Lollipops (P25). These chocolate lollipops come in vibrant reds and pinks with sweet messages and sayings.